Welcome to my Akaso v50 Pro vs Elite detailed comparison artcile! 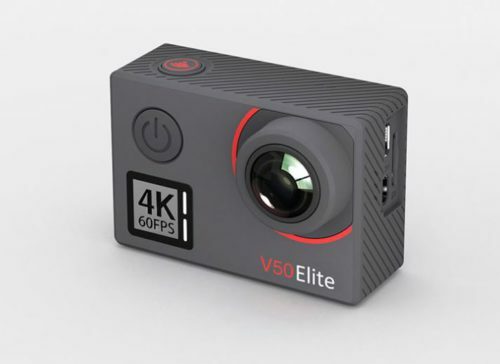 Both the Akaso v50 Pro and the Akaso v50 Elite are considered entry level action cameras. And both fall under the budget action cams category for costing less than $200. 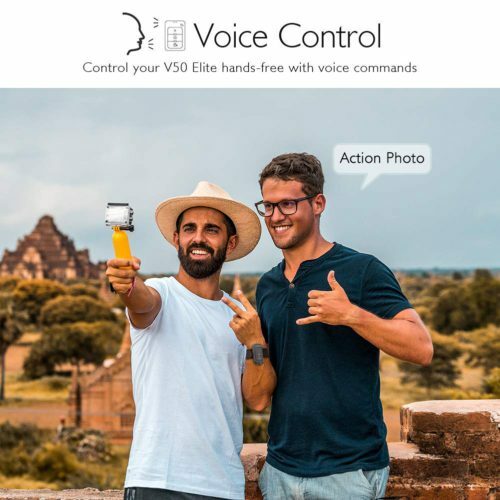 The Akaso v50 Elite is the newest model and was released back in October 2018 . So technically the Akaso v50 Pro is an older model and was released around 6 months before the Elite. Both of these cameras are available in the market at different prices and both have similarities and differences when it comes to specifications and quality. A new model doesn’t always mean a better or improved quality, we have to look at some fundamental differences between them and lay these out in detail. I will be talking about key differences in both these action cameras and I will go over the design and build, video quality, photo quality, audio, features, controls and battery. From outside, these two cameras don’t share any similarities except the size which is approximately the same. The design is totally different which I find a bit weird since both of these cameras are from the same v50 series. 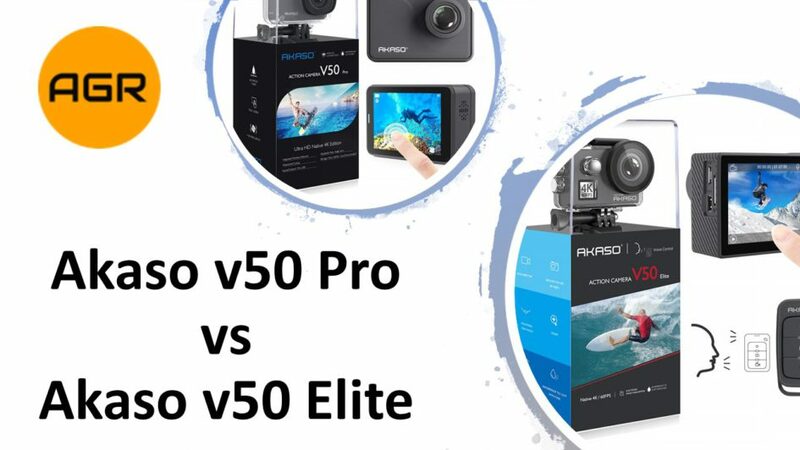 The v50 Pro has a more slick design with more rounded edges whereas the Elite has more of a rectangular shape similar to the old GoPro cameras. On the Pro, the shutter button and power/mode button are at the top. On the Elite, the shutter button is at the top but the power/mode button is at the front. Both have the USB port, HDMI port and micro SD card slot on the left side. The Elite has up/down navigation buttons on the right side wheras the Pro hasn’t. The battery compartment at the bottom of the cameras. Also, both are not waterproof without the waterproof case. Both of these cameras have a very simple menu when it comes to change video settings. Unlike a GoPro, all video settings are under the Resolution menu on the Akaso cameras. The touchscreen can be used to navigate and select options. On the Elite, the up/down buttons can be used if the camera is inside the waterproof case. On the Pro, there are no up/down buttons so once it is inside the waterproof case, the only way to change settings is through the App or remote. The v50 Pro can shoot in only 5 resolutions: 4K at 30fps, 2.7K at 30fps, 1080P at 60fps and 720P at 120fps. So you are limited to the above frame rates with each resolution. For example, it is not possible to shoot a 720p at 60 fps or 30 fps, but only 120fps. By that, we can only use the 720p resolution for taking slow-motion videos. Unless you have a TV with a refresh rate of 120Hz, the footage will playback in slow-motion. The v50 Elite has much more resolutions and frame rates options that the v50 Pro. The Elite can shoot 4K at 60 fps, 1080p at 120 fps, 720p at 240, 120 & 60 fps. Also 2.7K at 60fps which doesn’t exist on the v50 Pro. I must admit that 720p at 240fps is a very good advantage for shooting slow motion videos, and this frame rate doesn’t exist on the Pro. Both cameras have a setting called “Slow Motion” in the video settings, and before it can be turned on, the frame rate must be minimum 120fps or else the slow motion won’t work. So on the Elite, you can choose 1080p 120fps, 720p 240fps or 720p 120fps. Whereas on the Pro, you can only choose 720p at 120fps. Now moving to the video quality on both of these cameras, I can say that I was a bit surprised with the outcome. One can expect the newer version to be better in terms of quality. It is not the case here. If we compare the video quality on the Pro and Elite, we will notice that the colors on the Elite are very saturated especially the Green color. You will notice that colors are so out and they don’t look real. Whereas, the Pro provides real colors when shooting videos. Some people might like the extra vivid colors on the Elite, I’m sure the majority will prefer the more natural colors on the Pro. Both provide good quality video, I haven’t noticed a difference in terms of quality while recording videos in 4k or 1080p. Jumping to the image stabilization function that both cameras support. I would say that both cameras perform well with the image stabilization on. 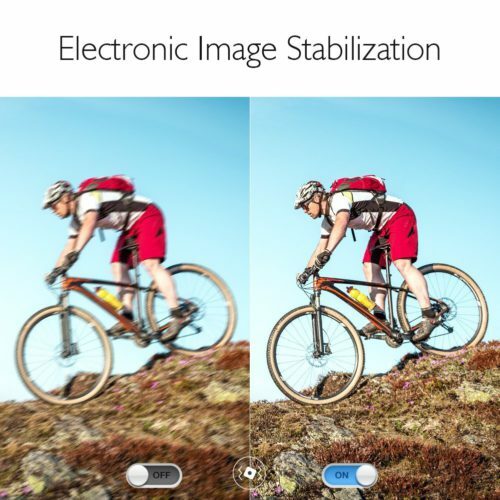 Image Stabilization provides a huge improvement to the video footage, it ensures you get a smooth and jittery free footage while doing movements like walking, running, cycling or any other activity that involves a lot of movement. Of course, the built-in stabilization won’t be as good as having a gimbal, but it is a very nice feature to have and in my opinion, it works well on both the v50 Pro and Elite. Unlike other budget cameras, the Pro and Elite provide stabilization while recording in 4K but only at 30fps. On the Elite, you cannot use stabilization while in 4K at 60fps, 2.7K 60fps, 1080p 120fps and all 720p resolutions. 2.7K at 30fps, 1080P at 60fps and 720P at 120fps. 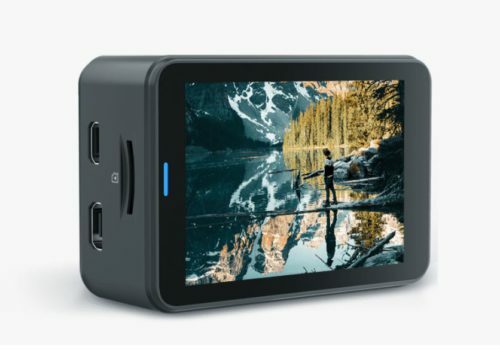 If you want stabilization on the unsupported resolutions and frame rates then you will need an external gimbal, something like a Feiyu Tech G6 would be a good option. When it comes to codecs, both the Pro and Elite have H264 an H265. The default codec is set to H264 but it can changed to H265 in the video settings menu. Both codecs save the video files in .mp4 format. H265 provides up to 50% more compression than the H264. It is useful when shooting in 4K and 2K resolutions. Check this article if you want to know more about the difference between H264 and H265. On the v50 Pro, you get 4 different angles: super wide, wide, medium and narrow. The super wide mode provides a 170 degrees shooting angle. The super wide option captures the maximum angle, while the narrow captures a 70 degrees angle. I mostly use wide because I feel that the super wide option distorts the footage a bit on the edges. There is a Distortion Correction setting in the camera that can correct this issue, however it can’t be combined with image stabilization. So you either get bent and distorted edges or a jittery video. You can’t have both unfortunately. On the v50 Elite, there are 3 different angles: wide, medium and narrow. Wide provides a 170 degrees shooting angle, while the narrow 70 degrees. When comparing the super wide on the Pro to the wide on the Elite, I haven’t noticed distortion on the edges of the video with the Elite. I think that Akaso corrected this issue with the Elite version. The Akaso v50 Elite has an 8x digital zoom whereas the v50 Pro doesn’t. The zoom function can be used via the phone app in both video and photo modes. The digital zoom is not real like the optical zoom. It’s basically cropping the footage or photo. Both the Pro and Elite are capable of shooting slow motion videos. As I mentioned earlier, the Pro can shoot 720p at 120 fps. 120fps is the best frame rate for shooting slow motion videos. You can’t get a higher resolution on the Pro for shooting slow motion. You can also use the 60 fps but you won’t get good results. Now, the Elite has a lot more options when it comes to resolutions and frame rates for shooting slow motion videos. It can shoot slow motion at 1080p 120fps, 720p at 240fps or 120fps. So I think the Elite beats the Pro when it comes to slow motion recording. You always need at least 120 fps with a good resolution in order to get a good slow motion effect. Both the Akaso v50 Pro and the Elite have micro HDMI ports. It is used to send video signals out of the cameras to a TV or monitor. Both cameras have loop recording features, on the Pro it’s called video file length which gives us 2 options, loop recording 1 minutes or 5 minutes videos. While on the Elite, the feature is called Loop Recording and it gives different options: 2 minutes, 3 minutes and 5 minutes. If loop recording is activated with the 5 minutes option then the camera will only keep the last 5 minutes of your footage. On both cameras, loop recording doesn’t work along image stabilization so one of them must be off. In terms of taking photos, both cameras perform well. However, there are few tiny differences. Both cameras can shoot 20 megapixels photos, however, they have different sensors. The Pro has the Panasonic 34112 sensor while the Elite has the Sony IMX078 sensor. I personally like the Sony IMX078 sensor more even though it is a bit old. But it is used on a wide variety of cameras and I think it is better than the Panasonic. As I mentioned earlier, colors on the Pro are more realistic than on the Elite. But this is my personal view, many people liked the more saturated colors of the Elite. Both cameras save photos in .JPG format. However, only the v50 Elite has the option to shoot in RAW. The option can be turned on in the photo settings menu. Burst mode is used to take a series of photos in a very short time like a few seconds. Both the Pro and Elite have the same burst mode options. They can take 3 shots in 1 second, 7 shots in 2s, 15 shots in 4s and 30 shots in 8s. Not the fastest burst mode I have seen, as the GoPro Hero 2018 can take 10 photos in 1 second, big difference! There is no night photo mode on either of these cameras. There’s a night lapse option on the Elite which I will talk about later. This feature is available on both cameras, however the Elite has more time options that the Pro. On the Pro, you can set the timer to 2 or 5 seconds. On the Elite, you can set it to 3, 5, 10 or 20 seconds. I feel that the timer options on the Pro is useless to be honest. 2 seconds and 5 seconds are very short. This is a nice feature to have and it’s available on both cameras. Long exposure slows down the shutter speed to clearly capture the stationaeryobejects while blurring the moving objects. It is easier to shoot low exposure in low-light conditions, like shooting passing car lights or sky stars. Both Pro and Elite have the same long exposure options of 1 Second, 2s, 5s, 8s, 30s, and 60s. The good thing here is that the ISO settings can be changed on both cameras. On the Pro, the ISO is under the effects settings menu. While on the Elite, it is under the photo settings menu. Both cameras have similar ISO settings, except that the ISO on the Elite can be set up to 3200. The Pro and Elite ISO can be set to: Auto / 50 / 100 / 200 / 400 / 800 / 1600. The lower the ISO value the less noise the image will have but the darker it will be. This option is very useful for night shooting. Now both the Pro and Elite got a good list of intervals used for shooting time-lapses. Time intervals are a crucial part in a time-lapse. Both cameras have Time Lapse Video feature under the video settings. This feature lets you create a video from photos captured at specific intervals. The Akaso v50 Pro and Elite have the same time intervals, you can choose between: 1second, 3s, 5s, 10s, 30s or 60s. Once the photos are taken by the camera a the chosen interval, it will then compile it into a video. Because the cameras capture photos, there will be no audio in the compiled time-lapse video. The cameras also have a feature called time-lapse duration which you need to set once you selected the interval. This will specify the total duration of your time-lapse video. It can be set to unlimited, 5 minutes, 10min, 15min, 20min, 30min and 60min. Time=lapse photo is also available on both camera models under the photo settings. And unlike time-lapse video, this one lets the cameras capture a sequence of photos at a specified interval but saves them as photos on the SD card. The photos can be checked later and the ones that aren’t good can be deleted. These photos can be compiled as a time-lapse video using a software. Both cameras have the same intervals as the time-lapse video option, so 1second, 3s, 5s, 10s, 30s or 60s. Time-lapse duration can also be set to unlimited, 5 minutes, 10min, 15min, 20min, 30min or 60min . The night-lapse feature is only available on the v50 Elite and it enables the camera to capture a series of photos at specific intervals and exposure times in low-light or night situations. The camera will then save the photos on the SD card so it is more of a time-lapse photo for low-light situations. This one is useful when shooting the night sky with the stars and the milky way galaxy. The Akaso v50 Pro has a 2inch touchscreen, whereas the Akaso v50 Elite has a 2inch screen but not touch. However, Akaso lately released a v50 Elite version with a touchscreen, so if you’re looking to get the Elite make sure you get the touchscreen version from here. The touchscreen can be used to live preview the camera and to navigate the menus and change settings. This feature is only available on the v50 Elite. The Pro doesn’t have a voice control option where you can send orders to the camera using your voice. You can start/stop videos, take a photo, turn off the camera, etc.. Both cameras have WiFi and can be connected to the smartphone app very easily. You would need to download the Akaso app first on your smartphone. Only the Elite has Bluetooth connection which let’s you connect the remote control. The cameras are not waterproof without the waterproof case. It can protect the camera underwater down to 30 meters or 131 feet. The Pro has 2x 1100mAh batteries with the box whereas the Elite has 2x 1050mAh batteries. I haven’t seen difference between the battery life on both cameras. Each battery can last around 60 to 70 minutes of continous video shooting. It depends on the video resolution used in the camera, the higher the resolution, the more battery consumption. Both cameras are available on Amazon at a good price. The Elite costs around 20$ more than the Pro. I wrote detailed reviews on the Akaso v50 Pro and the Akaso v50 Elite.